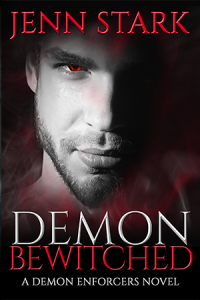 Jenn Stark - Urban Fantasy and Paranormal Romance » Demon Bewitched is Here! “Stefan had been demonized through absolutely no blasted fault of his own… and he’d be damned before he’d admit wrongdoing. Now, after six thousand years of service as a Demon Enforcer, Stefan is finally getting his shot at redemption…as one of five consorts to a young high priestess of one of the world’s most ancient covens. Only trouble is, Stefan doesn’t like to share. Happy Launch Day for Stefan in DEMON BEWITCHED!